Entering the final days of March, one would think the city would settle down a little, especially after the intensity of last weeks’ elections. But, as usual, Bangkok never ceases to surprise — this time with a full week of happenings that you really won’t want to miss. Two of the most major events taking place include the inaugural King’s Cup Elephant Boat Race and River Festival, and the return of Bangkok International Fashion Week. On top of all that, the annual Clutter Sale for Charity is also making its comeback this weekend, promising treasures and rare finds that only come by once a year. With so much happening, if, by chance you want to catch them all, be sure to carefully check schedules and manage your time well — if you hustle, you just might make it to everything! While it seems the weekend events are set to steal the show this week, there’s also quite a bit to look forward to as we gradually make our way there. Over at 80/20, chefs Joe and Saki are holding a unique collaboration dinner with leading Thai sommeliers, while The Sukhothai’s Celadon restaurant is making a pop-up at the picturesque Chakrabongse Villas. There is much to look forward to — scroll to see your plans for the week. WINE & DINE — One of our favourite Charoenkrung spots is collaborating with Thai Sommelier Group for a one-of-a-kind wine dinner. What’s on the menu? Chefs Napol “Joe” Jantraget and Saki Hoshino present their mouth-watering nine course menu of contemporary Thai delights, along with a friendly challenge — for Thailand’s leading sommeliers to pair them with the perfect glasses of wine. Dishes ranging from charcoal-grilled river prawn with lemongrass glaze to braised lamb legs in massaman curry are paired with wines, courtesy of some of the most respectable names in the business. As is to be expected of the playful duo behind 80/20, the dinner has an added element of fun — guests will be treated to a blind tasting, and given the opportunity to rate each wine based solely on its food pairing quality. THB4,500++ per person for nine courses and wine pairing. 7pm onwards, March 28. To reserve your seats or find out more, email info@8020bkk.com, or visit the official Facebook event page. WINE & DINE — Avid gourmets, here’s a collaboration you don’t want to miss! Executive chef of Chakrabongse Villas chef Wat invites Celadon’s executive chef Rin to create a four-hand set dinner of authentic Thai delicacies. 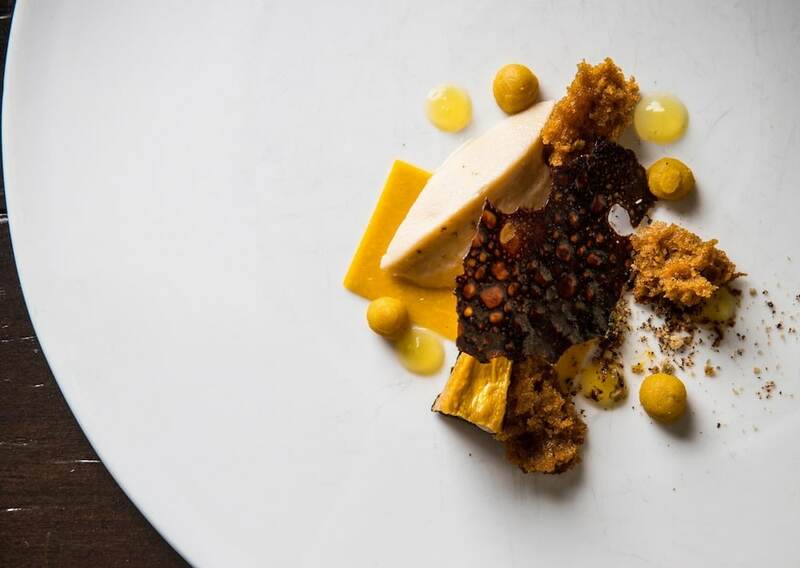 For one night only, experience an eight course meal featuring truly mouthwatering local flavours, backed by stunning views of the Temple of Dawn. 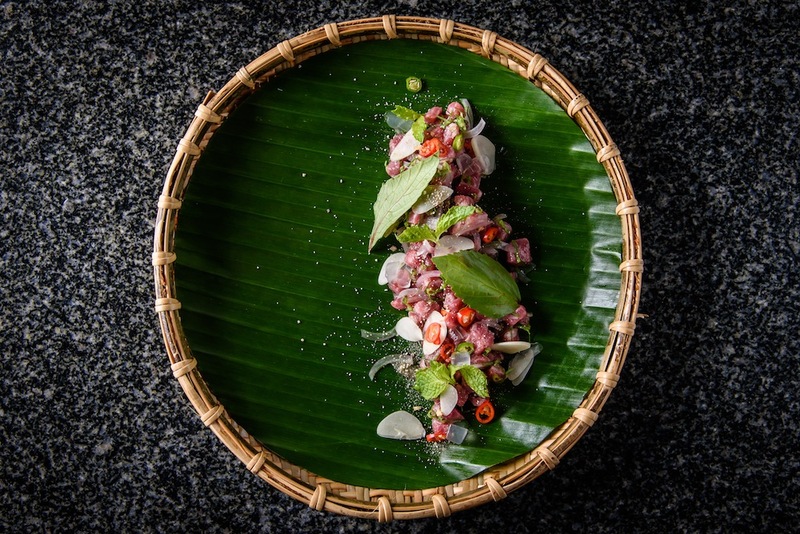 Dishes range from amuse bouches by chef Wat, to a refreshing serving of raw wagyu beef salad with aloe vera and fresh herbs directly sourced from Chakrabongse Villas’ garden. THB5,500++ per person (includes wine pairing). THB3,500++ per person for food only. 7-11pm, March 29. Chakrabongse Villas. To reserve your seats or find out more, call 08 0045 7778, or visit the official Facebook event page. NEWS & EVENTS — Shopaholics, mark your calendars because The Clutter Sale is back! Organised by the NewsMakers, the annual charity sale returns for the 13th time, promising a rare chance to splurge for the greater good. Expect a gold mine of so-called “clutter”, consisting of near-new treasures donated by VIPs, celebrities, and members of the expat community. Items on sale can include anything and everything from designer labels, jewellery, antiques, and even the occasional vehicle. Since its first edition in 2006, the Clutter Sale has raised millions in charity and has now become a highly-anticipated affair for both vendors and bargain hunters alike. This year, proceeds from the event will go towards supporting Chulalongkorn Hospital’s ‘Genetic Cancer Research Centre’ under the Thai Red Cross. Go because where else would you be able to purchase barely-worn catwalk outfits and hand-me-downs from society’s crème de la crème? Stay because you might have the chance to win air tickets from Turkish Airlines and five-star dinner vouchers. Much awaits this end of March, and all for a good cause! THB50 for an entry ticket. 10am-5pm, March 30. Grand Ballroom of the Anantara Siam Bangkok Hotel. To find out more, call 08 8995 6956, or visit FB @cluttersalebangkok. NEWS & EVENTS — Siwilai City Club brings back Siwilai City Tour, a series of events featuring fun beats on the rooftop. This time, experience beach-party vibes on a rooftop in the heart of the city, with a well curated playlist by international names and renowned local DJs — names include Paulie Sirisant, DJ Supersonic and DJ To-Ru. 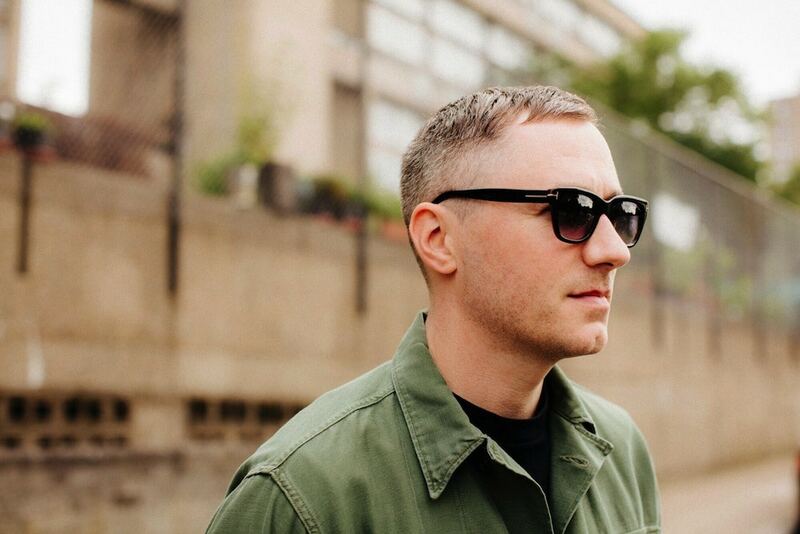 The key highlight is without a doubt sounds from visiting DJ Benji B, known globally for having co-produced Kanye West’s track Fade, as well as being the latest Music Director for Louis Vuitton. With funky beats, great views and even better vibes, get ready to dance the night away this Saturday! THB900 per ticket. 8pm onwards, March 30. Siwilai City Club, Central Embassy. To purchase your tickets or find out more, visit ticketmelon.com/siwilai. FASHION — Bangkok International Fashion Week 2019 is here, bringing four days of the fashion world’s finest, with ten runway shows from 15 labels both local and worldwide. The affair kicks off with two incredibly current womenswear labels — British Self-Portrait and none other than our very own Vatanika. Other shows to look forward to include Issue’s 20th anniversary, as well as a specially created show by Absolute Siam, featuring a series of bold and contemporary names. March 28 – 31, Grand Runway, Siam Paragon and Visionary Stage Atrium, Siam Center. To find out more, visit FB @siamparagonshopping. NEWS & EVENTS — When it comes to luxury living, Anantara Hotels, Resorts & Spas stands out not only for superior travel experiences, but also a long-standing commitment to the environment and local communities. This weekend, Anantara launches its inaugural ‘King’s Cup Elephant Boat Race and River Festival’, a fun-filled riverside event held in support of Thailand’s gentle giants. 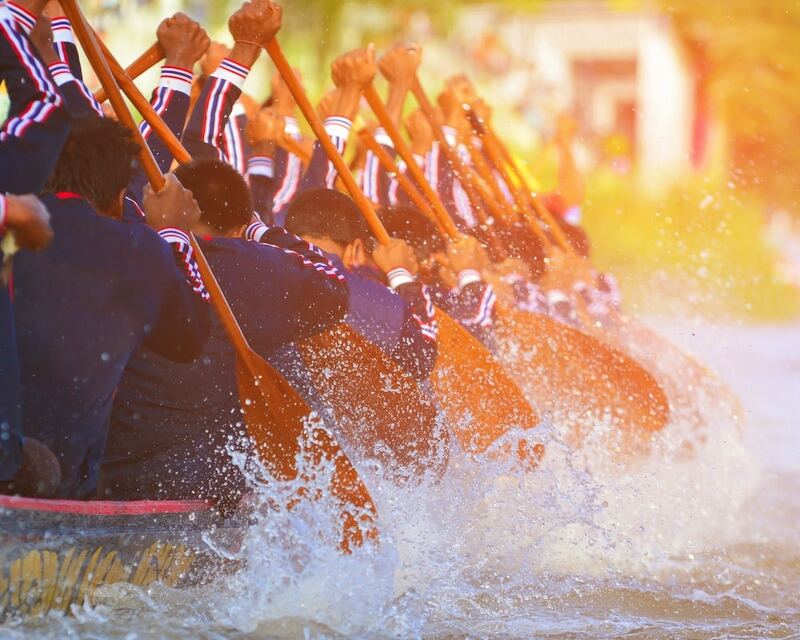 Expect thrilling dragon boat races between Thailand’s Navy Seals and international teams, with an added fun twist — especially designed elephant-themed boats. Watch the friendly battles by the riverside, where a range of entertainment awaits, from champagne tents to concerts and even a digital dry dock rowing tournament. There’ll also be an art installation available by the GTAEF.THB3,000 for a VIP ticket (includes free-flow drinks and snacks). THB200 per person for a regular ticket per day. Children under 12 enter for free. The King’s Cup Elephant Boat Race takes place from 12pm-late, March 29 – 31. Next to Anantara Riverside Bangokk Resort. To find out more, visit bangkokriverfestival.com.